While you are working on a design, it’s important to see how the site looks and works in a real web browser. 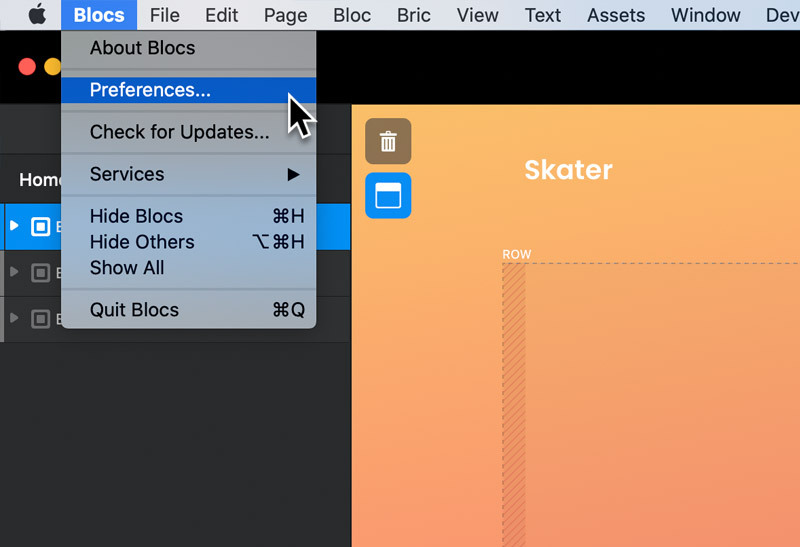 In Blocs, it’s possible to quickly preview your design as a fully coded website in your default web browser by using the keyboard shortcut ⌥+⌘+B. 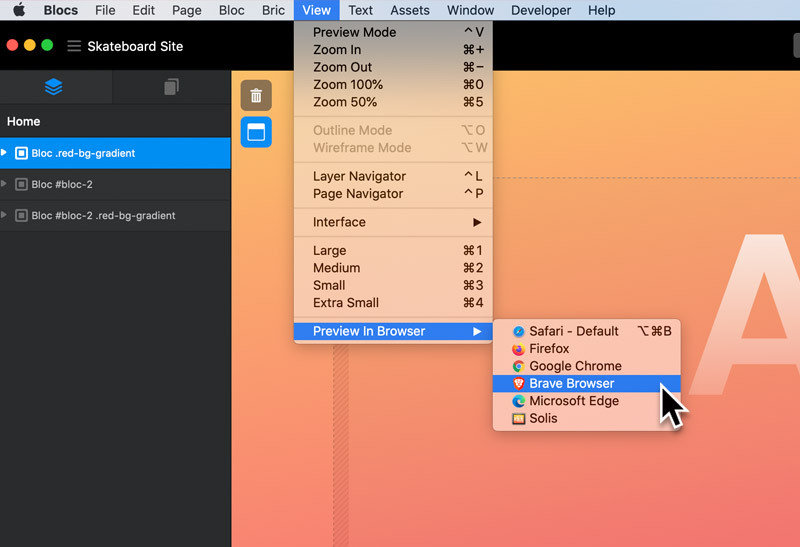 You can also preview your design in any other browser you have installed on your Mac by navigating to View > Preview In Browser from the apps main menu. Here you will find a list containing all of the installed web browsers on your Mac, Left Clicking an option will open the project, in the selected web browser. You may wish to change the default preview browser in Blocs, to do this navigate to the main preferences by selecting Blocs > Preferences from the apps main menu. From the preferences window, navigate to the drop down button labelled Preview Browser. This drop down menu will contain all of the web browsers you currently have installed on your Mac, Left Clicking an option will set it as the default preview browser in Blocs. If you are having trouble previewing in a browser, we recommend reading this troubleshooting guide.